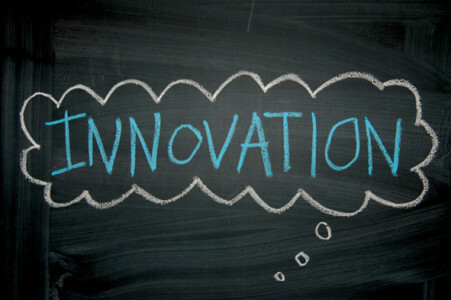 Innovation has become the buzzword for markets worldwide, and exists as a new competitive advantage. Singapore-based enterprises are today faced with tremendous challenges from global competition, industry disruption, and factor constraints.The world is transforming from the industrial economy to the innovation economy, where the fundamental rules of business and industries are constantly being re-written. Thus, emerging powerful digital technologies and innovative business models present incredible opportunities for enterprises to capture new value, markets and consumers. Charlie Ang, Founding President of The Innovators Institute and CEO of FutureCrafts, gave a talk at the launch of The Innovators Network (TII) a few weeks ago, on understanding the most powerful technological shifts in major businesses. He also brought up the notion that changes are increasingly introduced to the market so that Singapore can provide a conducive environment for its transition into an innovative economy. According to a report by SPRING Singapore, SMEs account for over 90% of all enterprises, contribute to 60% of the total value-added in the economy, and employ seven out of ten of the country’s workforce. However, as the global economy slowed down in 2012 and tremendous challenges from global competition started to pile on, the Government introduced funding incentives for ‘mainstream’ companies to adopt technology developed by start ups as productivity tools. We did a check and true enough, Singapore does have incentives in place to encourage the initiation of ideas and start up growth – there are over 200 grants and schemes from various statutory bodies aimed to help SMEs overcome challenges and upgrade operations (data via here)! Out of the 200, there are also Government schemes to assist enterprises to align themselves with some top game-changing technologies Singapore enterprises should adopt. Besides encouraging organisations to invest into in-house R&D, they are also encouraged to adopt and acquire technology from third party providers that could vastly improve operations and processes. These grants and schemes not only nurture the technology start up ecosystem in Singapore, but also pave the way for emerging powerful digital technologies and innovative business models to be assimilated into businesses to stay ahead of competition. We picked three schemes most relevant for many SMEs out there to be shared here. 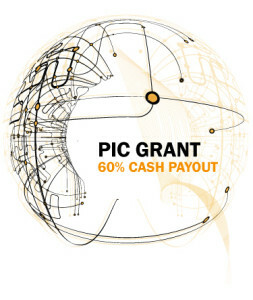 The PIC scheme grants businesses up to 400% tax deductions or a 60% cash payout when you invest in the acquisition of innovation, research and development, automation, and training. This is not the first time we’ve talked about PIC – our previous article on the PIC grant can be found here, but there have been recent updates to this scheme that could prove helpful. The extension of this scheme until year 2017. This will act as an economic stimulus package since it will enable the economy to expand by another double digit once the country reaches 2017, according to Mr Tharman Shanmugaratnam, Finance Minister of Singapore. The newly introduced PIC+ Scheme, part of the PIC, offers 400% tax deductions on up to $600,000 of expenditure per year from 2014 to 2017. All businesses. As long as you have incurred expenditure in any of the six qualifying activities under the scheme, you can apply for it. Under this scheme, SMEs can receive funding assistance for a wide scope of qualifying costs ranging from basic, ready-to-use IT packages to large scale, tailor-made enterprise systems. The most important requirement is that the company is purchasing a new software to automate a manual process. For example, SMEs can implement the TradeGecko online inventory management software to replace manually tracking and monitoring inventory and stock levels on spreadsheets for wholesalers, and be covered for under this scheme! However, if the SME is adopting a new software that replaces an already existing software or technology, the project will be rejected for the grant. This relatively new scheme aims to accelerate the adoption of ICT (Information and Communications Technology) among SMEs and boost productivity and growth. Given that there are soooo many grants and incentives out there for SMEs in Singapore to tap on (from the industry-specific ones to the more generic ones), the only problem you have right now is which to apply for. Shop around for a while, but don’t waste time anymore. 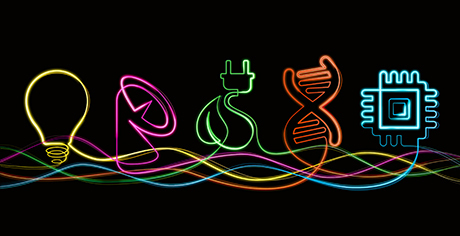 Ride on these grants to become a tech-enabled innovative business now. 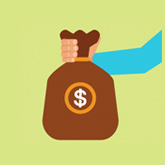 For lists of Financial Assistance Schemes that you can consider, visit this page or this page.